Still thinking about a hammock? There’s no denying that a good old fashioned tent (or a highly technically advanced new style!) is pretty hard to beat when it comes to camping. They provide protection from the elements, cosiness, space to chill out in and a place to store all your camping gear. 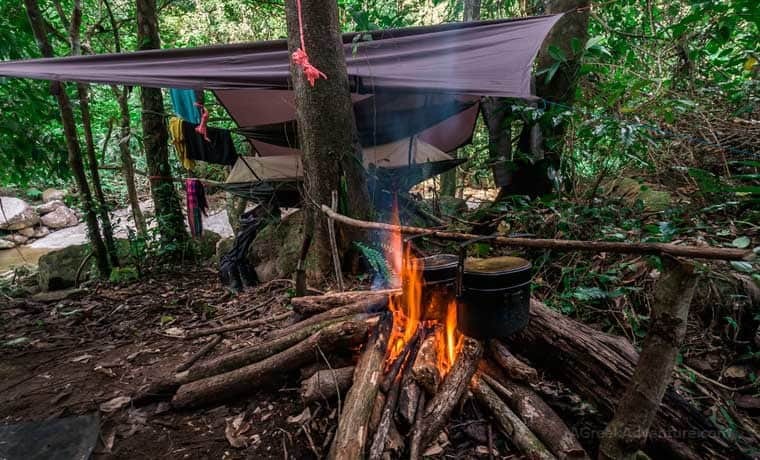 But there are times when opting for a tent to sleeping in is less than ideal, especially when you’re seeking out somewhere wild to lay your weary head for the night. 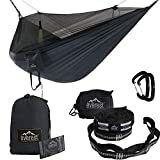 It’s on these occasions when having a hammock to hang out it can be a total lifesaver, and can also end up becoming you camping preference. “When would I ever choose a hammock over my tent?” I hear you cry! Well, for some of you, possibly never. But what if you found yourself backpacking in the forest, trees aplenty but no flat or clear place to put your tent? 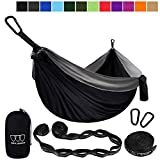 Hang up your hammock! And what if your tent is a little on the heavy side and you want to backpack with as little weight as possible? 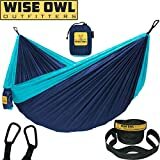 Get yourself a lightweight hammock and tarp for a fraction of the price of a lightweight tent, and away you go! Hammock camping also offers a unique opportunity to camp closer to nature than the canvas of a tent allows. On warm summer nights you have the added bonus of a cooling breeze and nothing but a canopy of stars above you. Camping perfection. But one of the most appealing benefits of camping in a hammock is the unrivalled comfort that they offer. Providing you get your sleeping angle right and have set up your hammock correctly, the gentle rocking of a hammock is proven to help you sleep better than usual. 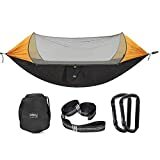 Plus, most people find sleeping in a hammock much more comfortable than battling with the cold hard ground when tent camping. More comfort = better sleep. Better sleep = happy campers! Still not convinced? Maybe these other benefits of hanging out may sway you. The article and imagery were written by Joey at Cool of the Wild. Enjoy. You may want to read this post about hammocks too.